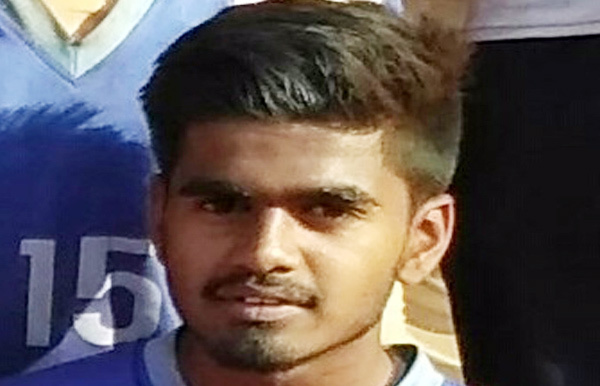 Gurdaspur (Punjab), Sept. 21, 2018: Shalim Shah of Bhagat Puran Singh Adarsh High School made it a promising start for Gurdaspur in the inaugural district athletics championships in Schools India Cup, here on Friday. The youngsters from the historic city dazzled in the 100 metres sprint event, clocking an impressive 11.70s to take the top honours in the boys under-14 category. Jashanpreet Singh of Cheema Public School finished second with a timing of 12.10s. Interestingly, a host of young athletes in Gurdaspur fetched medals in more than one event in the track and field events. In the girls’ under-16 category, Lovepreet Kaur of Shri Guru Ram Dass Modern School picked up a golden double, clinching both the 200 metres and 400 metres, while Jaskarandeep Kaur of Bhagat Puran Singh Adarsh High School won 3 silver medals in the 800 metres, 1500 metres and high jump. Her school-mate, Komalpreet Kaur finished with a silver in shotput and bronze in the 400 metres. Fateh Singh Bajwa, President, Gurdaspur Athletics Association and MLA Gurdaspur was the ‘Chief Guest’ at the Schools India Cup Gurdaspur District Championships and gave away the medals to the winners. SSPF commended the District Coordinator- Athletics, Ms. Rajvinder Singh Gill for the successful conduct of the Gurdaspur District Athletics Championship at Rajiv Gandhi Stadium, Batala.